We are pleased to announce the addition of Ruby Steward to the LUXE Properties Team. By working in the Real Estate industry for more than 17 years, Ruby has acquired experience through different aspects of the business including investment properties, rentals, and purchase and sales. Ruby's extensive knowledge of the industry makes it easy to provide her clients with the confidence necessary to enjoy a smooth ride. Making sure the interest of the client is protected by showing a high level of integrity and knowledge of the Real Estate market and making sure every requirement has been taken care of, is of utter importance to her. 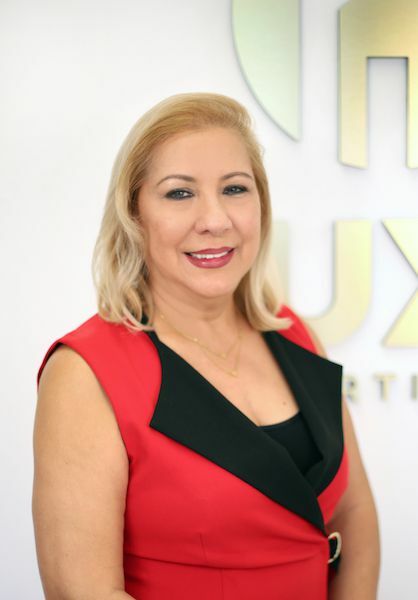 Born in Colombia, but has lived in Miami for over 40 years, Ruby is fluent in both Spanish and English. Ruby has become a local expert in most of the well-known luxury communities as well as the newly developed and more affordable areas in Florida. Ruby enjoys family activities, her two grandchildren, and traveling with her husband. Ruby's ultimate goal is to help as many people as possible to achieve the American dream.